Hand signals were developed to enable effective communication between lifeguards in situations where other communication methods were unavailable, particularly when lifeguards are performing a rescue. The ability to communicate clearly is an essential skill in life threatening situations. 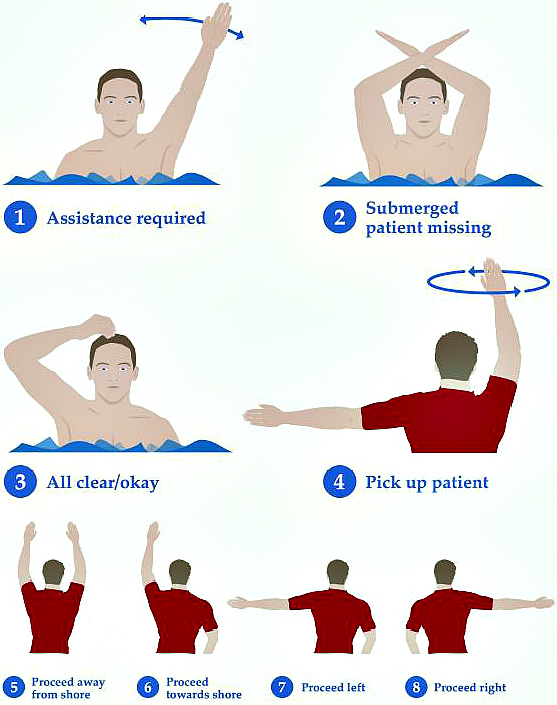 For safety reasons, surf life savers must demonstrate their knowledge of signals before commencing any activities in the water. Each signal should be made distinctly, and repeated until acknowledged. 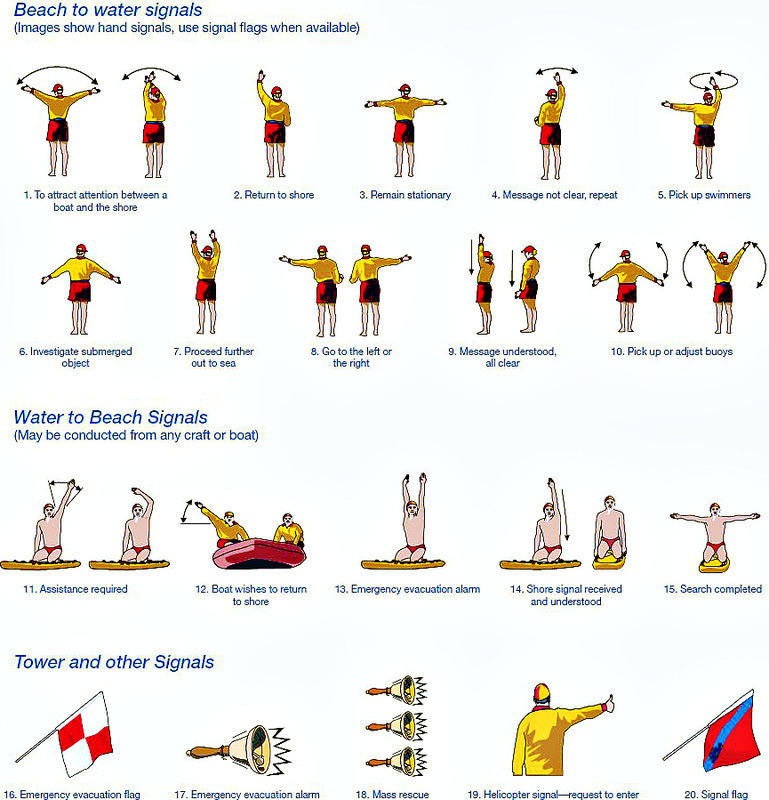 The diagrams below depict the SLSA and international surf life saving hand signals.